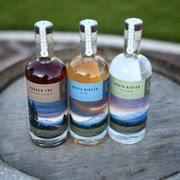 East Bend Liquor is proud to partner with Bend Distillery, a local distillery and tasting room in Bend, Oregon. Bendistillery is located on a 24 acre farm in Bend. 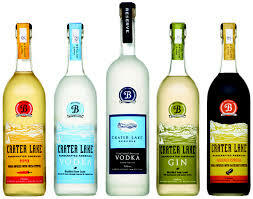 Some of their signature drinks include Crater Lake Vodka and Estate Gin. They’re open regularly for spirits tastings and tours in Bend, Oregon. Cascade Alchemy is owned and operated by three old school snowboarders; Joe Hale, Tyler Fradet and Ross Wordhouse. 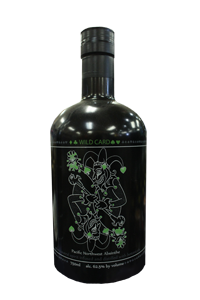 They each bring their own set of talents that make up Cascade Alchemy’s great tasting spirits. Mondays are good days to swing on by the distillery to meet all three owners. Come on in for a tasting and pick up some spirits and shirts in the retail room. You’ll get a first hand look at what it takes to make a great tasting spirit. Herman Gompers was not an ordinary man and neither is the gin that bears his name. His life was a combination of both amazing and tragic moments, turning into the quintessential American success story. Gompers Gin is made from select distiller approved ingredients and is naturally gluten free. Made with hand-picked Oregon Juniper berries, golden pear, and lavender. 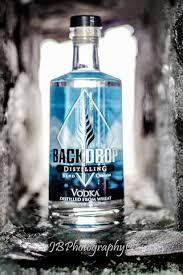 BackDrop Distilling entered the spirit world in 2015, Est. in 2014 Mark Plants installed a Steam Jacketed Custom Made German Copper Still & as well as brought in barrels setting the stage for BackDrop to become the first distillery to be inside of a brewery in Oregon (Goodlife Brewing). Enter the Spirit World & Unleash the spirits are two of Marks invitations to pursue your own world, one where you create what you want, where you want, with who you want & how you want. Celebrating the creation of ones passion into their own BackDrop is something to raise a glass to … with BackDrop Distilling’s Spirits & their many Spirits yet to be created.